Although fruit trees were first planted in the Okanagan in 1860, the Klondike Gold Rush and construction of the Kettle Valley Railway in the early 1900s allowed the fruit orchard industry to flourish. 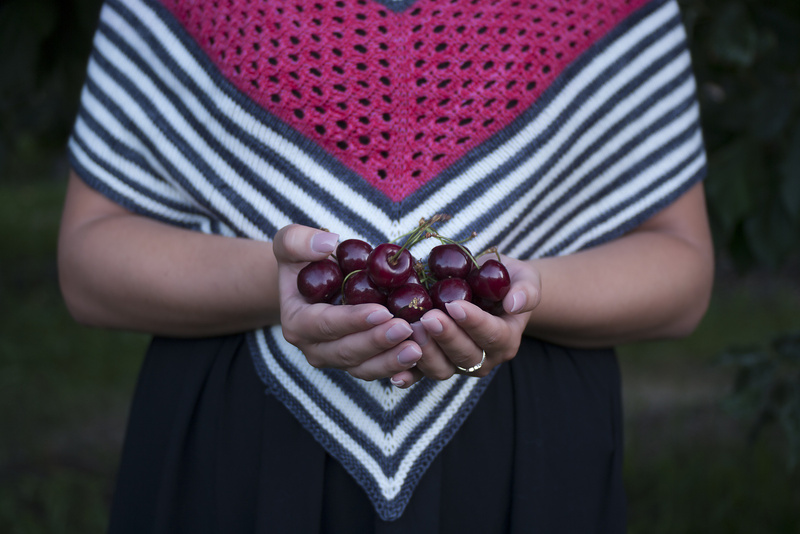 Bing cherries were one of the first and most popular variety of cherries to be grown in the Okanagan, loved for their deep maroon colour and sweet flavour. 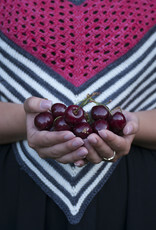 Bing is a top down, triangular shawl inspired by the many varieties of cherries grown throughout the Okanagan Valley. Simple stockinette stripes border a cherry-inspired lace section for a pop of colour.